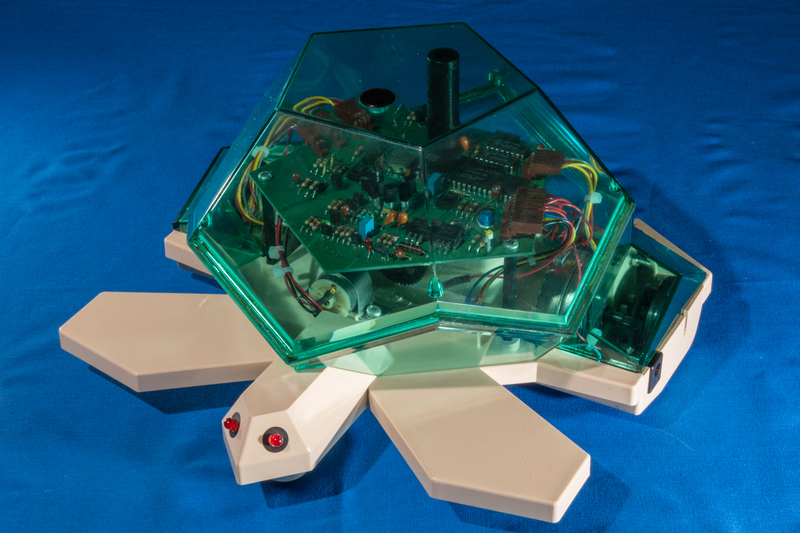 The Valiant Turtle is a floor roving robot made by Valiant Technologies and was a popular education robot for teaching geometry and programming during the 1980s and 1990s. The robot was first sold in 1983 and was often used with the LOGO programming language. 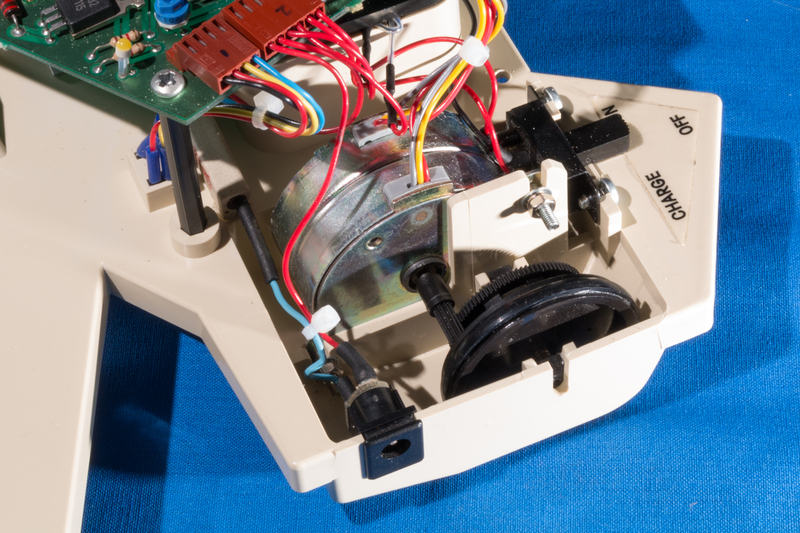 I started writing this article in 2009 when I obtained my first Valiant Turtle, however the turtle was not repairable due to the stepper motors being destroyed. Now (in 2016 and two turtles later!) I finally have a restored and working robot. Since it was such a struggle to find the necessary information on the turtle, I have collected the results of my research here. I hope this will make your restoration project easier than mine (and a lot quicker!). It is possible to connect the turtle using either serial or parallel connections from a microcomputer. Supported models (that I’m aware of) are the BBC Model B, RM Nimbus 186, Acorn Archimedes, Commodore 64, Apple IIe and a modern 9-pin serial connection to a PC. The original power supply supplied with the turtle also doubles as a charger. The rating of the original PSU is 19V @ 500mA. Whilst this is good for charging the turtle, it’s not so good for the control box (which gets really hot). I would suggest that, if you have an original power supply, you only use it for charging and power the control box from 6-9Vs. My Turtle’s control box is powered from a 6V @ 500mA power supply. The DC jack connecting the power supply to the control board should be centre-positive. In order to use a serial connection the control unit needs to be configured for the Valiant Mover software on a serial interface. There are 4 switches on the side of the unit which should be set as: 1-ON, 2-ON, 3-OFF and 4-OFF. Furthermore the two switches on the base of the turtle should be set to OFF. Whilst the cable shown above works perfectly with a BBC Micro there are other connections available from the controller board (I constructed the cable before performing a more detailed reverse-engineering of the controller circuitry). 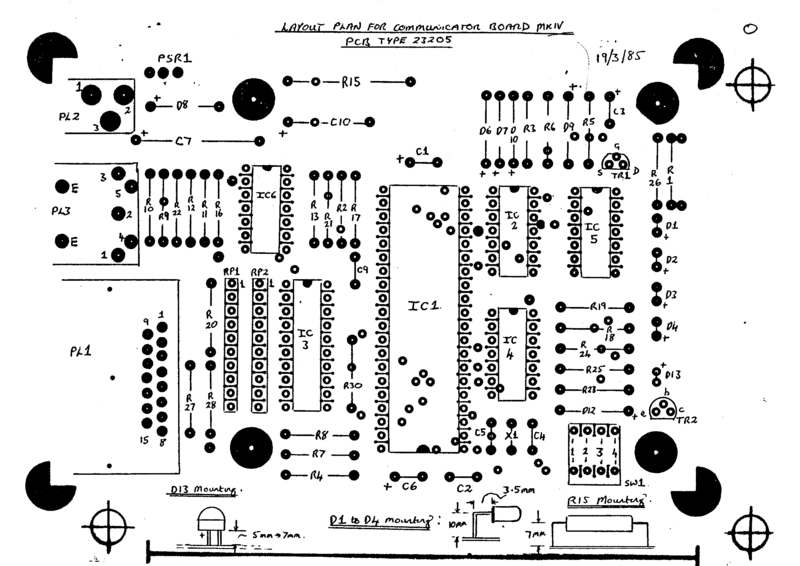 The Eagle CAD schematic of the controller gives a detailed view of the available serial port signals that may assist if you are attempting to connect the turtle to other types of computer. The control unit needs to be configured for the parallel interface. There are 4 switches on the side of the unit which should be set as: 1-OFF, 2-ON, 3-ON and 4-ON. Furthermore the two switches on the base of the turtle should be set to OFF. 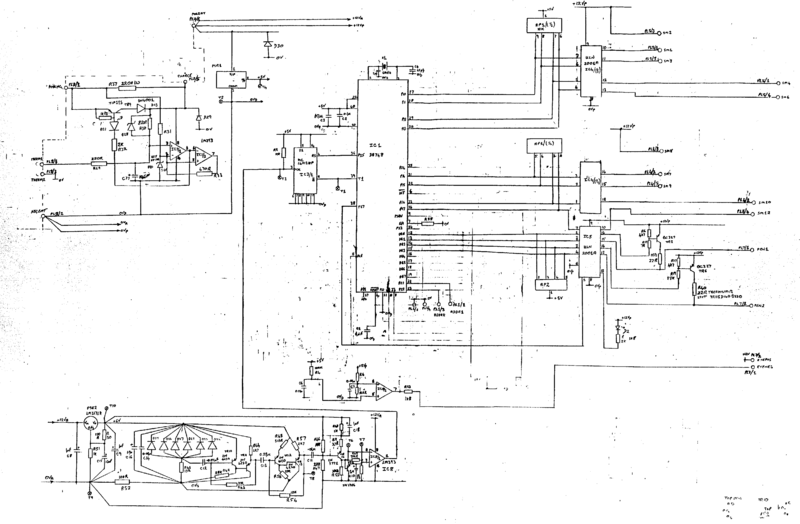 Note that DIP switches 3 and 4 enable the (NOT) data-strobe line on the parallel interface. DIP switches 1 and 2 are read by the communicator’s processor directly. In two byte parallel communication mode all commands are split into two bytes; the first byte identifies the turtle (to which the command is to be sent) and the second byte contains the command. 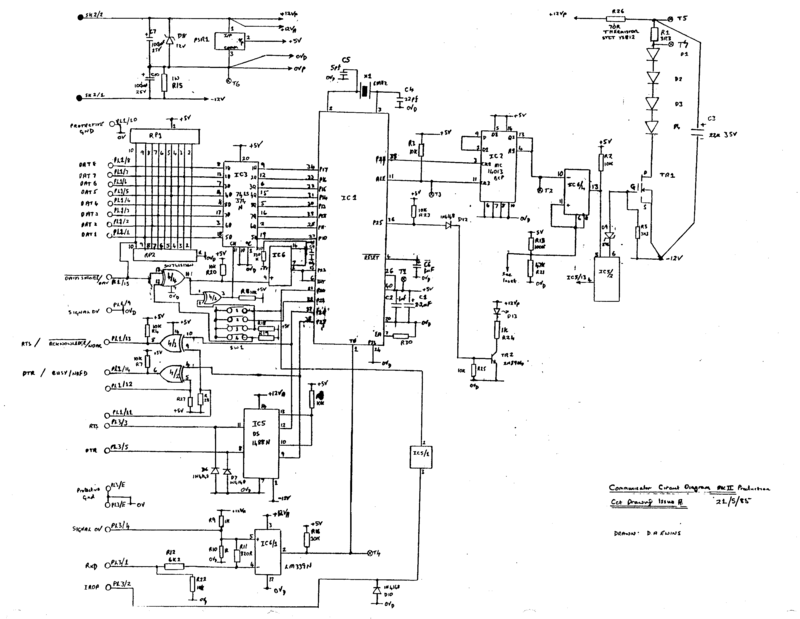 Two-byte command mode is only supported over the parallel interface. Similar in design to the to the control unit; the turtle’s main board is a microcontroller based board with IR receivers in the centre. When the turtle is switched to ‘on’ the red LED should light (and the turtle’s eyes), when switched to ‘charge’ the yellow LED should light. If you have an old turtle like mine then the chances are the battery pack has been there a long time and is probably badly corroded. Luckily the corrosion does not affect the plastic, although you will have to remove the battery connectors and replace them with new ones or clean them completely. To remove the batteries remove the covers on the top and the bottom of the machine (you will have to take the main board off first, make sure you note which connector goes where as the LED and pen motor both have the same connectors). To replace the batteries I used some NiMH 2400mAh AA cell rechargeable batteries (you need 10 in all); if the springs in the battery compartment are completely missing you can buy the ones ready-made with soldering tags. Simply connect them up like the old batteries, replace the battery connectors and reassemble. The case should be properly cleaned and any battery ‘goo’ removed. You can use a 50/50 mix of vinegar and water to do this (the ‘goo’ is alkaline, so vinegar is good for neutralizing it). There seems to be far more Valiant Turtle robots available than communicator interfaces as evidenced by many posts from curious owners wondering if the robot can be used without the original interface and sales on sites such as EBay for robots missing the communicator. 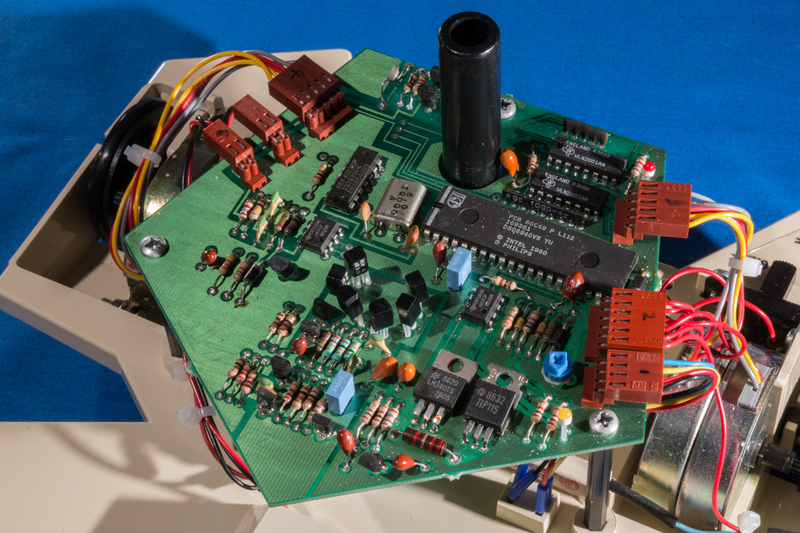 As the Valiant Turtle communicator Mark II uses a mask-programmed single chip computer (i.e. 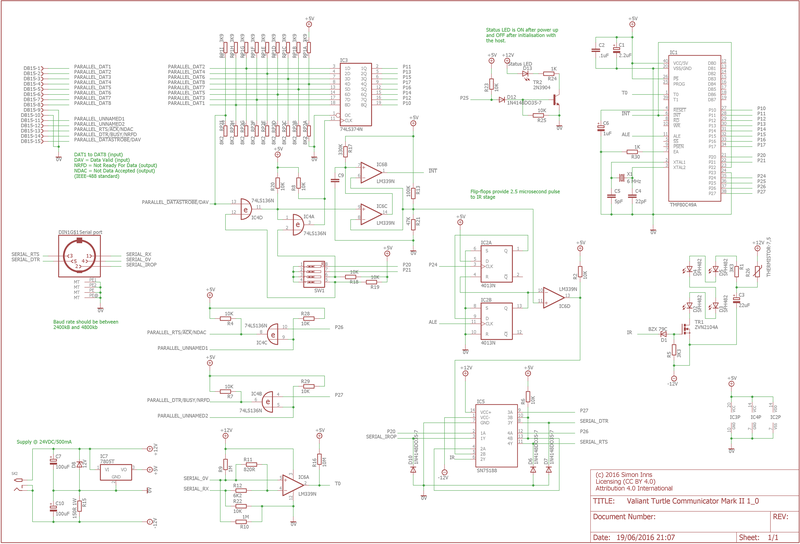 the programming in ROM was set during manufacture) it is not possible to simply duplicate a circuit schematic in order to create a new controller. The only way to create a new communicator is to reverse engineer a working unit (from the logic perspective as well as circuitry) and then programmatically reproduce the functions of the unit using either a modern computer or microcontroller device (or a combination of the two) with the required electronics for the host communication and infrared link to the turtle. To facilitate such a project (and since I own a complete Valiant Turtle with communicator) I have provided the results of reverse engineering the communicator below. 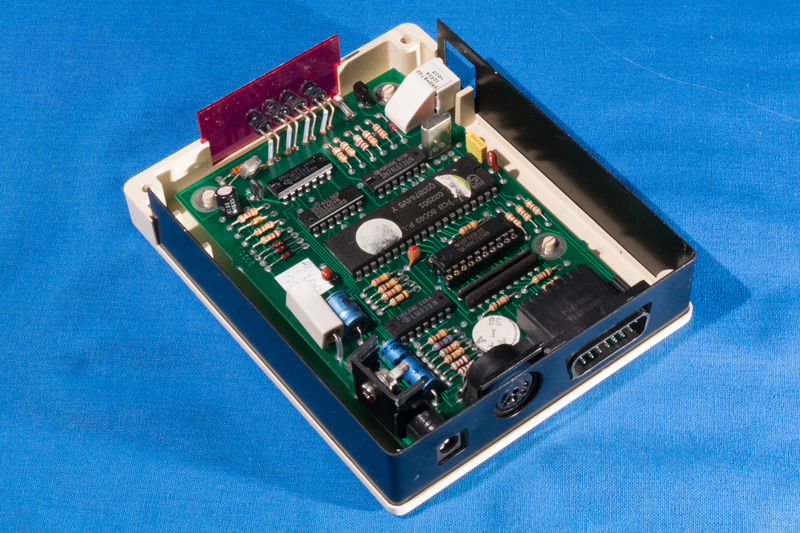 The Valiant Turtle communicator mark II offers both a serial and 8-bit parallel interface to the host computer. 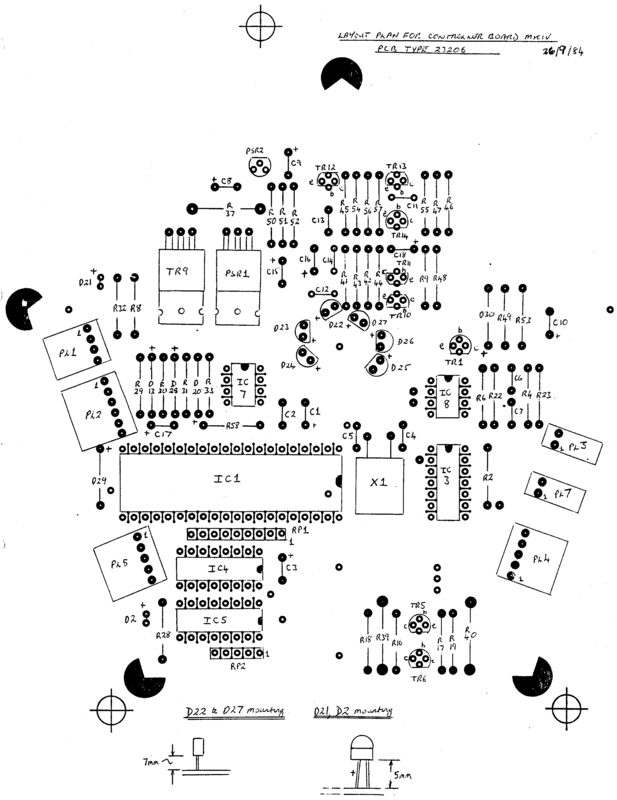 In order to reverse-engineer the communication protocol the Acornsoft Logo programming language was used on a BBC Microcomputer along with the Valiant extensions that allow the programming language to control the physical turtle robot. Since both the serial and the parallel interfaces use the same 8-bit communication protocol, this reverse-engineering allows either interface to be used towards the host. The communication protocol is effectively one-way; the exception being the handshaking used by both parallel and serial devices. For serial (RS423/RS232) this is well documented (and the communicator supports between 2400 and 4800 baud with 7N1 and 8N1 byte-length/handshaking). In the case of the parallel interface the BBC uses the user port’s CB2 line bi-directionally for handshaking. The host pulses CB2 low when a byte is ready for the communicator to receive, and the communicator pulses CB2 low once the byte has been read. This style of handshaking is directly supported by the BBC’s 6522 VIA chip (which acts as the interface between the user port and the BBC’s CPU). Although both the parallel and serial interfaces support 8-bit communication, the Valiant Turtle communicator mark II only uses 7-bits. 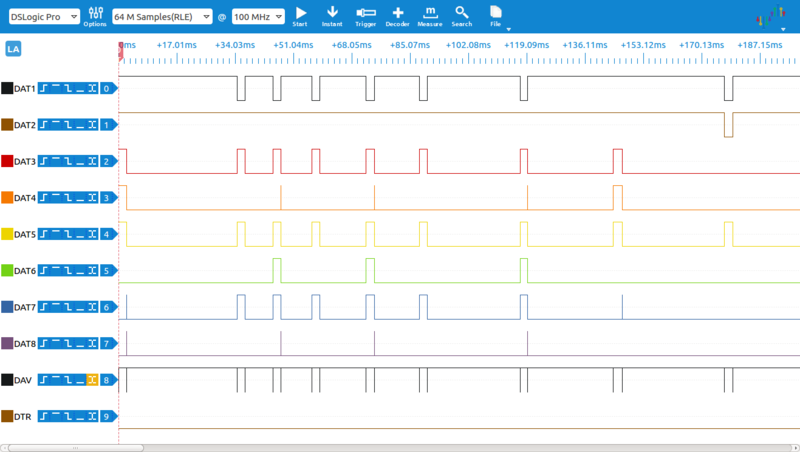 The most significant bit is always zero when using either 8-bit parallel or 8-bit serial communication. The first command sent by the host initializes the communicator (and causes the status LED on the communicator to turn off). This command, for compatibility between serial and parallel interfaces is 0b00001101 (0x0D or decimal 13). This is the ASCII code for carriage return (CR). When the ‘FLOOR’ command is sent from Acornsoft logo the host sends two bytes: 0x0D and 0x10 – the second byte is the ‘PENDOWN’ command (this is explained in more detail below). Analysis of the commands (with the exception of the initialise byte) shows that the 7-bit commands are in fact bit flags that are interpreted by the Turtle’s processor (note that the VT Communicator Mark II does not interpret any commands except the initialise command – all command bytes are passed directly to the IR interface). 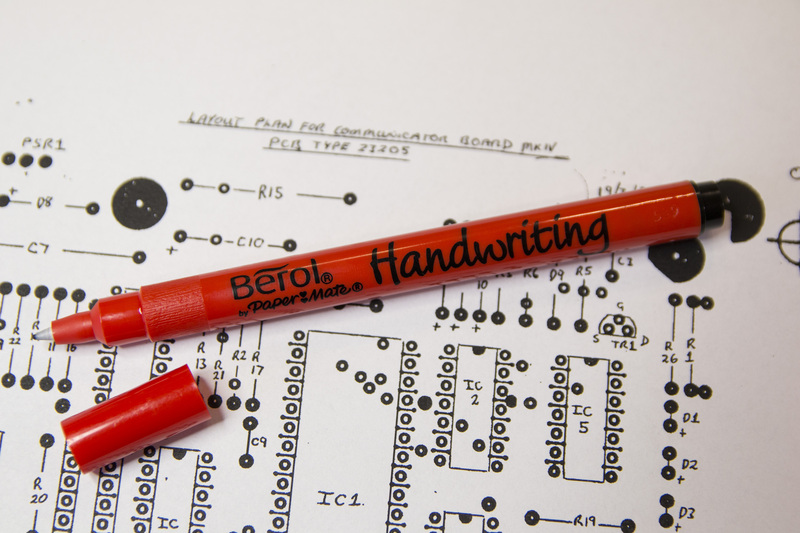 P = This is the pen state which can either be 0 for pen up or 1 for pen down. LL = The left (starboard) motor direction – This can either be 00 for motor off, 10 for motor reverse, 01 for motor forward or 11 for motor on. RR = The right (port) motor direction – This can either be 00 for motor off, 01 for motor reverse, 10 for motor forward or 11 for motor on. Note that the motor direction bits are inverted between the motors. This is because the motors are mounted opposite to each other and therefore the directions are reversed between the motors. The communication protocol is very basic and for each ‘step’ of the motors there are two commands required, one to start the step and another to stop the step (although both motors can be activated by each command). There is no real ‘command’ for pen up and pen down, this flag can either be set in a separate command, or combined with another command. As can be imagined, this command is identical to the LEFT command only the left motor is backwards and the right motor is forwards. Note that Acornsoft Logo (and the Valiant Turtle) support up to 4 turtles controlled by a single communicator. At the time of writing documentation for configuring Logo for multiple turtles was not available. Presumably there is a command or (more likely) a bit pattern in the communication protocol that indicates the required turtle. If possible to recreate, this information will be included in this article at a later point. The communicator is responsible for receiving the 7-bit commands from the host and transmitting them to the robot using an infrared link. 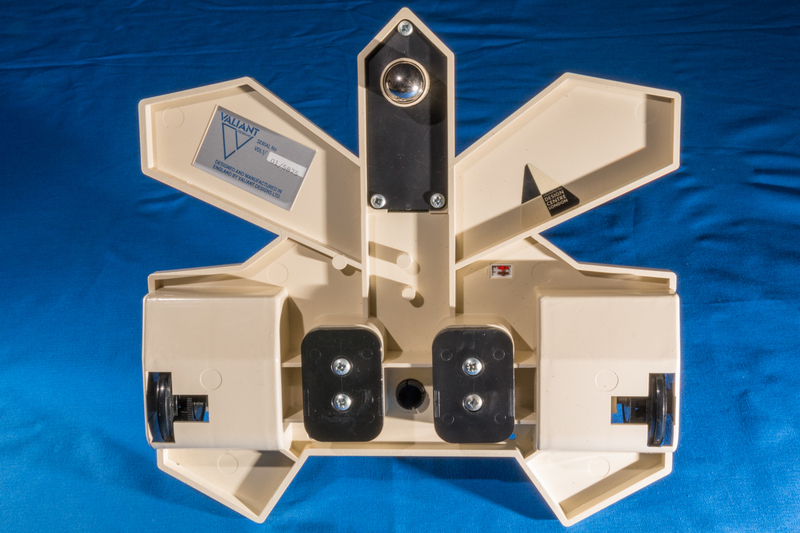 The infrared link is unmodulated and uses 2.5uS pulses of light to communicate to the robot (note that the link is one-way, communication from the robot to the communicator is not possible). Since the light is a fixed 2-2.5uS pulse the communication is performed by varying the period of the pulses (i.e. the time between sending pulses). This involves the communicator sending a ‘lead-in’ pulse to begin communication, followed by the data and, finally, the lead-out pulses to complete communication. The IR communication data is a simple copy of the 7-bits received by the communicator from the host; the communicator’s processor does not attempt to interpret the commands before sending, i.e. the communicator will send any bit pattern specified by the host. 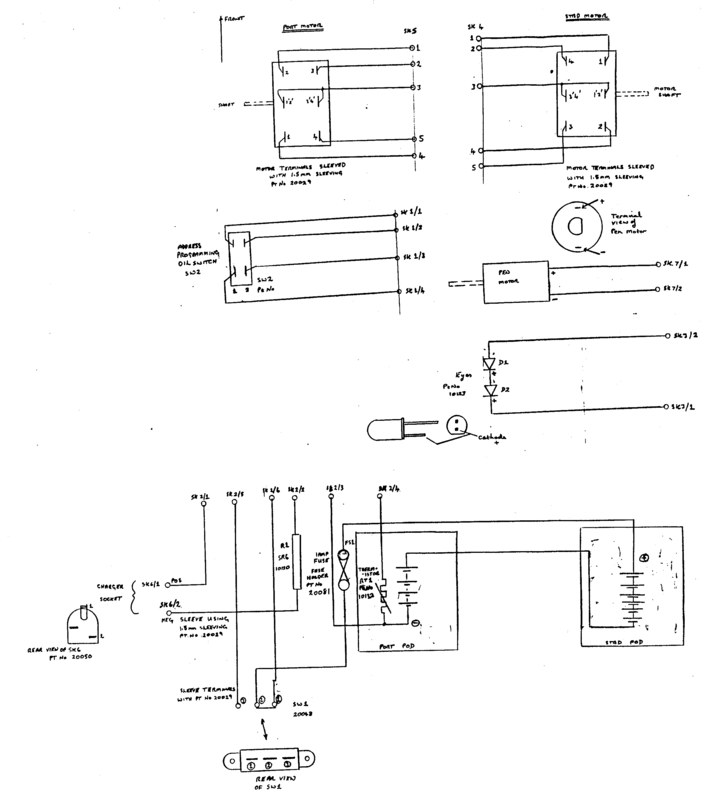 This fact allows the IR protocol to be reverse engineered by sending sets of known shifting bit patterns to the communicator and analysing the pulse and period output from the infrared transmission stage of the circuitry. The employed protocol is not a simple ‘mark and space’ style protocol (where one period is used to represent 1 and another for 0). 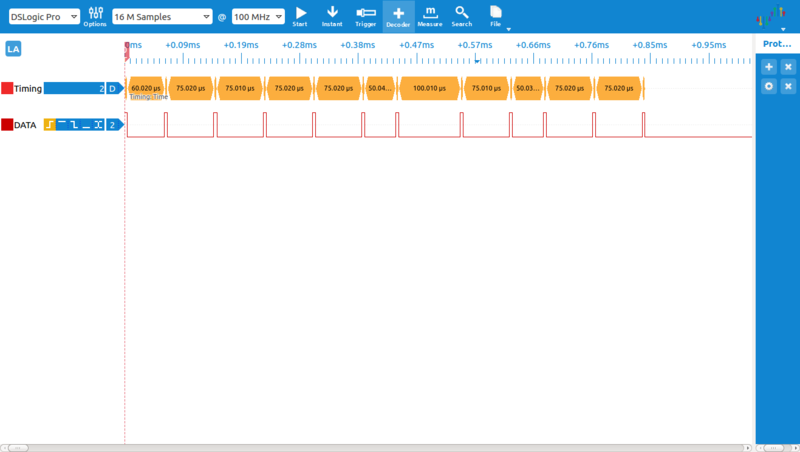 Instead, the communicator uses a programmatic method of encoding that seems to be designed to ensure that the average frame-length of each transmitted byte does not vary too much between bit patterns (i.e. in a simple mark and space protocol the transmission frame-length of 0b0000000 would vary significantly from 0b1111111). In addition, the communication uses a parity indicator as the lead-out pulses, this allows the robot to ensure that it only processes commands that have been reliably received. As can be seen from the logic analysis the byte is sent via the infrared interface starting with the least significant bit of the byte. Note that the timing on P24 is not the actual timing of the pulses and periods over the IR link. The transmission circuitry causes the pulses to be around 2-2.5 uS and adds around 5 uS to the period lengths. I’m just taking delivery of one of these, minus cables and software: Dave Catlin informed me that you would be the person who would know where I could lay my hands on those. I don’t think there is really anywhere to buy such cables, but you can make it as there is a wiring diagram (for both the serial and parallel cable) in the article. The software is provided in the ‘downloads’ section. If you’re using a BBC Micro, then I’ve also scanned and uploaded all of the Acornsoft Logo documentation on the stardot.org.uk forum. I have these cables, plus the software and manuals. I have the manuals for BBC computers, the RM Nimbus 186, and IBM PC compatibles (including the RM Nimbus 286). I have one 3.5 inch floppy, to go with the IBM PC compatibles version, plus one 5.25 floppy version of the software. I think that is for the BBC computers version. I have two cables btw. I am willing to sell all this gear, if you want to make an offer for it. I gather this stuff is very rare. I have been looking for a haul like the one that I have, but I can’t find anything like this anywhere. Even Ebay is drawing a blank. It seems like all the cables got lost years ago, but lucky me, I have two ;). If you want to get in contact my email address is patcoyne79@yahoo.co.uk. By the way, is Dave Catlin the guy that used to be the head of Valiant? I also have a letter from him posted in 1992 apologising for the products being dispatched very late. Poor chap. Maybe that’s why they don’t make these things any more. Ha ha. So: I have hit the mother-lode and will be taking delivery of a complete Turtle set in about 3 weeks (which is great because I can dissemble my current Turtle that came with no peripherals, with a view to seeing if it can somehow be got to work with a BlueTooth connexion). However, I can find little or no documentation and any software links to obtain a way to lever it via DOS/Win 3.1 ? ? I don’t think DOS and Win3.1 is really quite the right era for these robots. You’d have more luck with things like RM Nimbus, BBC Micro and C64. There were PCs around at the time, but they were only in reach of businesses due to the cost. What you find on this page is pretty much *all* of the available documentation, there may be a few more computer specific manuals around, but not much more. I have the PC version of the cable, manual and software. See above for more info. Cheers mate. Finding a link to something pointing at the possibility of software is not quite the same as actually finding something 🙂 If you do find any actual software, then please share the source and I’ll include it here. Great info on the Turtle. I have a couple of these but no control box. The control boxes are quite hard to find these days (people kept the turtle but not the control boxes it seems) so ebay is usually the place; they do pop up from time to time. It’s a bit tricky to make a copy of the original control box since the Philips microcontroller is programmed and a copy of that code is no longer available (so even if you made it, it wouldn’t be easy to program). It is possible to make a new controller using something like an Arduino though; I’ve not done this myself but there is example code in the article showing how to code the required IR communication (and a breakdown of the protocol is also given) – so if you have Arduino skills (or know someone who does) that could be a viable route.